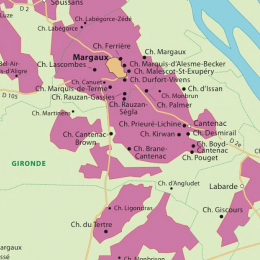 Home > Posts Tagged "MARGAUX"
Intense, ripe Cabernet nose with good mid-palate flavour and good grip. This is wonderful, sweet fruit, great depth of flavour, ripe, soft tannins and great weight for Margaux. I love this wine; it is very long and still very typically elegant despite its intense fruit. A bit like ’83. Brilliant. I liked this as well, ripe concentration of flavour, fine tannins, elegant, refined classic fine claret in a ripe year. Bravo. Attractive, intense ripeness here, really attractive, quite weighty and long. But most commentators I respect say this was fine wine with elegance. Attractive, deep fruit, open nose, perhaps lacking a bit in the middle, but elegant.